Now That’s What I Call Music! (1986) 8 UK TV Advert. Voiceover by David Jensen. 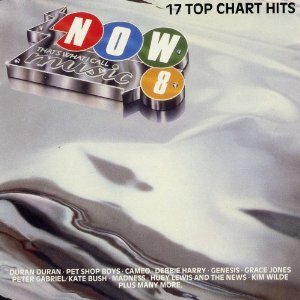 Now That’s What I Call Music 8 or Now 8 was released in 1986. The album is the 8th edition of the (UK) Now! series. This was the second of the series to be released on vinyl and on a single CD. The first being Now 4. It reached #1 on the UK Albums Chart, the fourth consecutive album of the series to do so, and stayed there for six weeks.